I don't haul many things very often - but this past Sunday I grabbed a few things that I definitely (didn't) need. But I did grab a few things that I DID need. 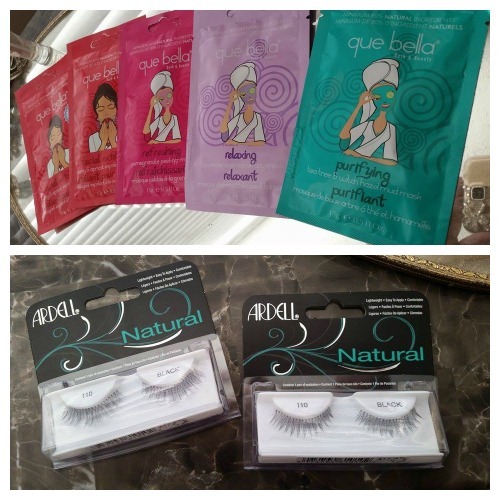 Que bella Face masks - I love these things, and they work! Chris and I do them all the time together. This summer is turning out to be one of the oiliest summers my face has ever had. So doing these masks really makes my pores feel open and my face feel clean. 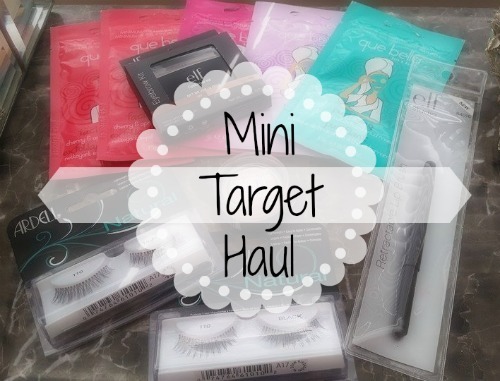 Ardell Natural Lashes - These are my go-to lashes. AND THEY WERE ON SALE. So while I still have a pair, I picked two more up because they were $3 each. Now the ardell Natural lashes can come in a few different varieties. But I like the ones that are a little wispier and more "natural" looking with the criss crossing at the last line. 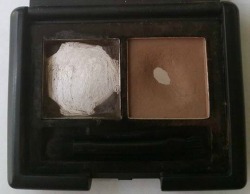 elf Eyebrow Kit in Medium - Because mine currently looks like this. 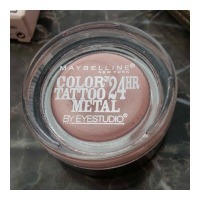 Maybelline Eye Studio Color Tattoo Metal in Inked in Pink - (that was a mouthful) But this pink is so pretty. I've been obsessed with my Nyx Infinite Shadow Stick in Flush so this pink was almost a rose gold and I looooove it. I dont know I feel like Summer is a great time for a pretty color like this one.